9 pockets can hold up to 540 business cards! Individually hinged boxes keep cards protected. 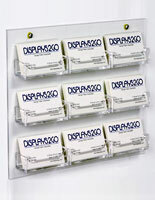 Clear acrylic gives customers a clear view of each card. Wall-mounted design keeps desks clutter-free. 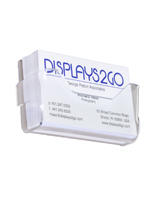 This exterior business card holder can display up to 540 cards! 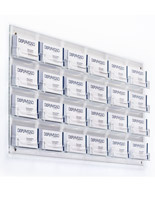 The wall-mounting business card case, business card holder features a 9-pocket design for organizing a large amount of calling cards or appointment reminder cards. 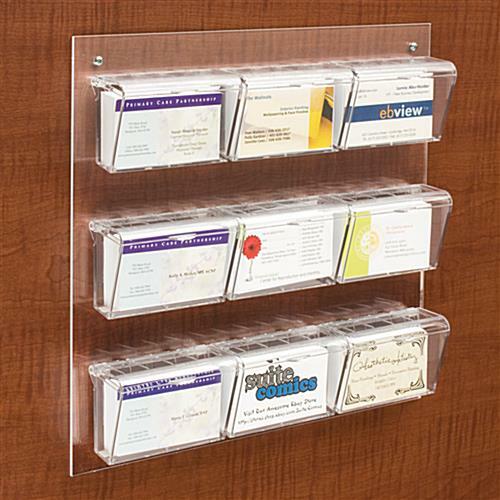 This business cards holder, such as wall-mounted card boxes, uses (9) 4"w x 2-5/8"h pockets for holding standard-sized business cards and calling cards. 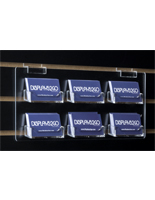 The business cards holder also includes individually hinged lids for each card box, helping to protect your displayed cards. 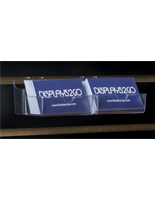 This business card case can therefore be used both indoors and out; however we recommend positioning the cards holder under a shelter for additional protection from the elements. 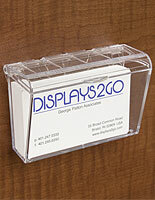 The business card holder is perfect for use at salons, real estate offices, law firms or even doctors' workplaces. Not only will you be able to display a large quantity of business cards, but with its clear acrylic composition, guests will be able to view each card before making a selection. 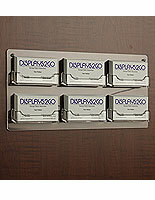 This business card holder, also known as a wall-mounted display, is equipped with (2) holes for mounting onto a wall or other flat surface. 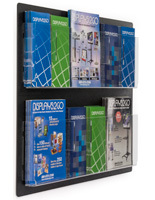 This wall-mounted organizer therefore makes your calling cards more easily accessible! 13.4" x 12.3" x 20.0"
4.0" x 2.6" x 1.8"